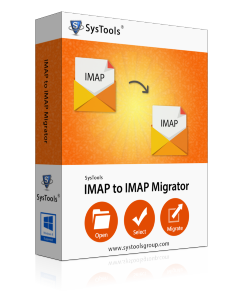 IMAP to IMAP Migration Tool allows to transfer IMAP from one Server to another. This IMAP Import software supports to migrate IMAP mailboxes between servers on Windows platform. It provides compatibility for moving emails from all IMAP configured email accounts. IMAP transfer tool has a feature to migrate from one IMAP server to another. For doing this, you just have to enter the name of server and password of both IMAP account. Then you can export all types of emails including the folders such as Inbox, Sent Items, Drafts, Deleted Items, and Junk Folder by using this program. The IMAP to IMAP Converter tool enable users to select the folder name for each source account folder. With the help of this feature, a user can also choose the destination location where you want to save your data. Then, all the data will get saved into the particular destination folder. Sometimes, users do not want to export all data items from IMAP configured account. So, the IMAP migration Tool provides an option to exclude the unwanted folders such as sent items, junk folders, etc. during the migration process. This feature is very helpful as it saves a lot of time and space. During the conversion process, if people want to stop the process in between due to any reason, then the IMAP Import tool offers Pause button to stop the migration. After a while, they can restart the process again with the help of Resume option. This feature avoids the chances of data corruption. The IMAP to IMAP Migration Tool is capable to retain both data structure and metadata same as original even after the migration. As both hierarchy and data are important and contains crucial information. So, this feature is very beneficial to keep the emails sorted in a proper manner. When users want to do the selective migration, then this IMAP Import Export Tool is very helpful. Because it allows users to apply date based and attachment filters. After applying the specific date range, the utility will give you only the desired data. This application also supports the category-based filtering. The software is designed in such a way that it can migrate IMAP to IMAP account. During the migration, you can track the procedure by using live conversion status that is displayed in the software window. After completion of exportation, the tool will also create the complete migration report in CSV format. I was searching a tool to migrate mailboxes between IMAP servers. 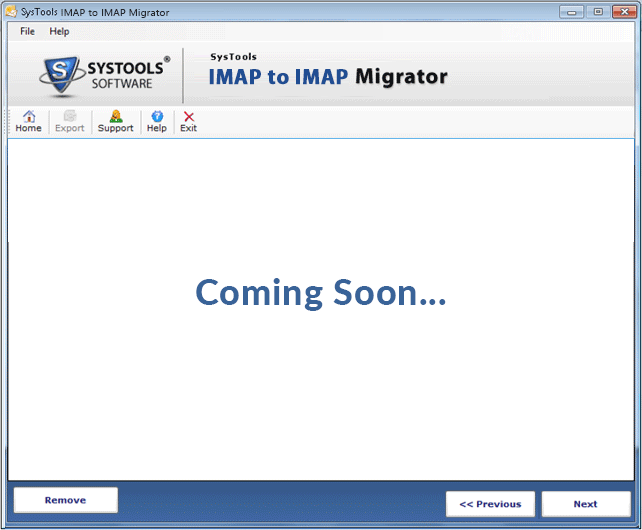 Then, while surfing the internet, I came to know about this IMAP to IMAP migration Tool. I have used this software and noticed that it is an amazing software which has easily resolved all problems. Working with IMAP Transfer Tool is quite simple and easy because the graphical interface of the application is very user-friendly. I would like to suggest this software to everyone to move emails from one IMAP server to another. As I didn’t find the simplicity in any other tool like this tool. I want to appreciate all the developers. Great software!! I wanted to transfer IMAP from one server to another. I have tried so many applications but failed to get a tool that is capable to transfer the attachments between IMAP Servers. Then, one of my friends advised this IMAP transfer utility and I am completely satisfied with this. Thank you!! Can I migrate selective emails between IMAP Servers? Yes, you can easily migrate selective mailboxes data as well as complete data from one IMAP Server to another. Because the tool offers category-wise and date-wise filter for data selection. Does the software Export attachments along with emails? Yes, you can transfer any type of attachments with IMAP emails by using this tool. Is the Incremental Migration feature available with this tool? Yes, if both Yahoo and Gmail account are configured as IMAP then you can convert Yahoo IMAP mailboxes into Gmail IMAP.